Carrie Foris is the principal attorney and founder of Foris Law Offices. She has over 20 years of experience as a lawyer and risk manager. Her employment history includes over 10 years as an attorney specializing in Workers’ Compensation, Tort Liability and Insurance matters with an AM Law Top 100 law firm. Additionally, she served as Director of Risk Management for the Chicago Transit Authority, is a current principal in Midway Risk Consultants, and is a former General Counsel to one of the largest Not-for-Profit providers of early childhood education in Chicago, Illinois. Carrie is well known for her expertise in the areas of Workers’ Compensation Law and Risk Management. She is highly experienced in representing both individuals and businesses in workers’ compensation and catastrophic personal injury claims throughout Illinois. As an outside general counsel, Carrie represents business clients in a variety of matters including commercial transactions, commercial and liability litigation, government investigations, human resource matters and litigation management. She also advises business clients of all sizes, including Fortune 500 companies, in the reduction of their workers’ compensation costs and helps increase efficiencies at every level of their risk finance and control programs. Her extensive experience includes self-insured statutory compliance consultation, policy premium and third-party administration contract negotiation, preferred provider network agreement negotiation, incident and claim reduction strategy development, incident investigation procedure guidance; site-specific policy drafting and implementation; claims analysis; and retention and oversight of outside counsel. She also advises clients in areas of complex internal and governmental investigations; crisis management and communication; employment best practices; OSHA and other statutory compliance; risk identification and control; claims administration; and risk management best practices. 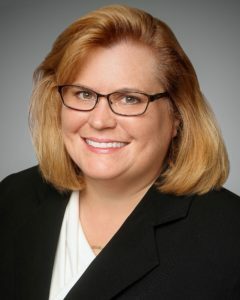 Carrie represents individuals and employers before the Illinois Workers’ Compensation Commission, the Illinois Circuit Courts, the Illinois Appellate Court and various administrative venues throughout Illinois. She is a dynamic speaker and has presented at numerous prestigious venues and events. Participated as a member of the Illinois Chamber of Commerce, Employment Law Committee in the drafting of the 2011 amendments to the Illinois Workers’ Compensation Act. Obtained multiple Respondent findings in complex workers’ compensation trials and appeals. Carrie Foris may be contacted at cforis@forislaw.com or 708-848-8700. “Know How Your Workers’ Compensation Premium is Calculated to Keep Your Costs Low”, June, 2014.